A seguire la più recente esecuzione di Paintbox Jane di Westbrook & Company - a St Ives in Cornovaglia presso il celebrato St Ives Jazz Club, l'ultimo prima di New York - c'era Angela Jianu: ne scrive per lo Smith's Academy Notice Board. 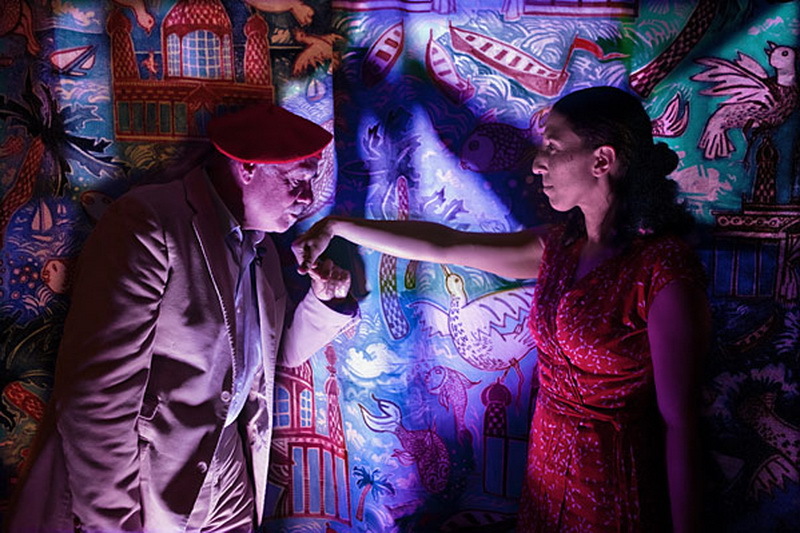 "The narrative in Paintbox Jane revolves around the French painter Raoul Dufy (played with panache by Tim Goodwin) as he paints an imaginary portrait of a female friend. It shares with A Bigger Show the quintessentially Westbrookian fusion of jazz, musical, cabaret and theatre, but on a smaller scale. The powerful big orchestra sound of the earlier show is here replaced by the more intimate music made by piano, vocals, saxophone and bass. On that summer evening of 24 July at the St Ives Jazz Club, this jazzy chamber music sounded perhaps more enthralling than ever before. The vocals provided by Kate Westbrook, Martine Waltier and Billie Bottle soared above Mike Westbrook’s broody keyboards, Alan Wakeman’s groovy saxophone and Marcus Vergette’s dramatically pounding double bass. Jane Mann – for whom the show was commissioned – was among an audience who appeared mesmerised by both music and lyrics."